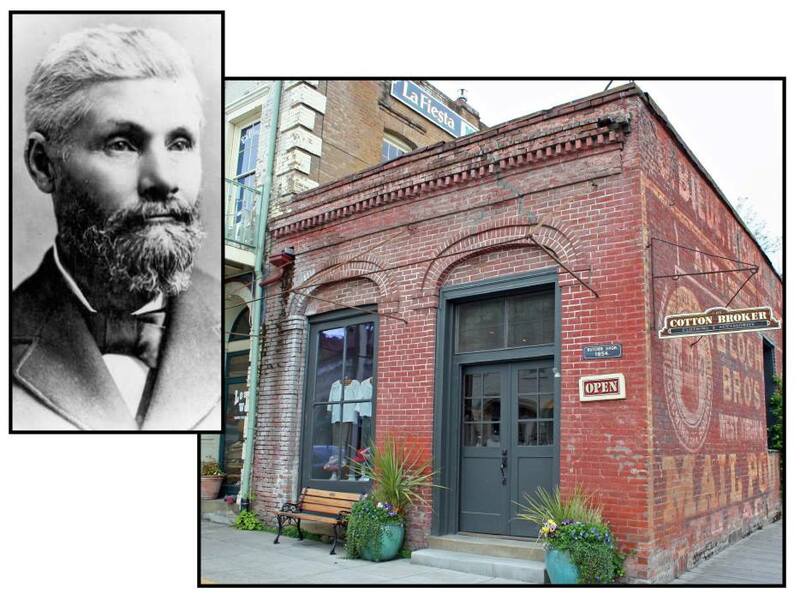 Haines’ Variety Store | Historic Jacksonville, Inc.
Israel and Robert Haines’ variety store, constructed in 1861 at the corner of California and Oregon streets, replaced a wooden building they had occupied since arriving in Jacksonville 7 years earlier. This one story brick structure is one of the oldest commercial buildings to survive 3 major fires that ravaged the town. The construction expense may have over extended the brothers financially, since by 1862 Israel was reading law and Robert was studying medicine. Robert relocated to San Francisco. Israel (shown here) moved to eastern Oregon where he became a prominent Baker City lawyer and politician and founded the town of Haines.